Mourning covers (Mcs) are now known to have been used in at least 250 different stamp-issuing countries. Following is a list of these countries, with an asterisk (*) showing countries where Mcs were seldom used. Each of these Mcs have been seen by the author, in original or copy form, including those pictured in past issues of Mourning Notes. 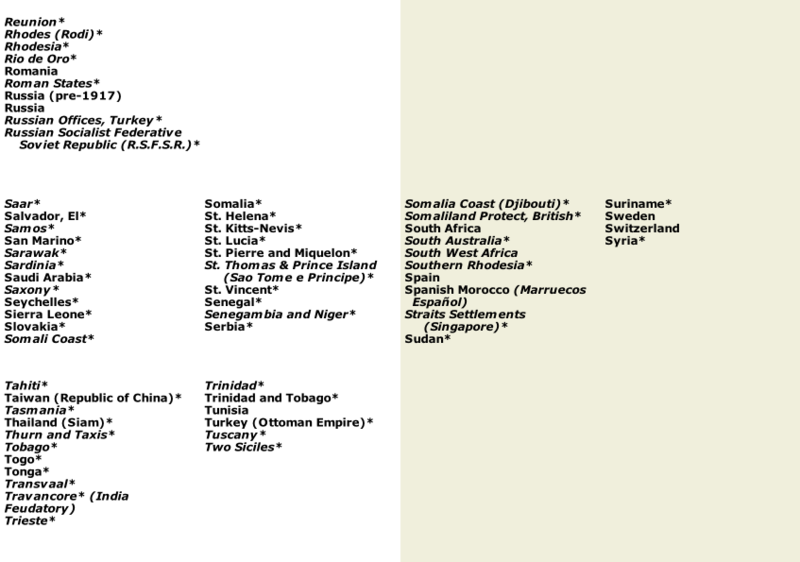 The list includes 117 stamp-issuing entities known as dead or inactive countries, shown in italics.